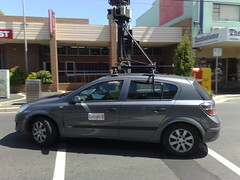 In January 2010 we spotted a Google Streetview car passing the post office in Bentleigh. 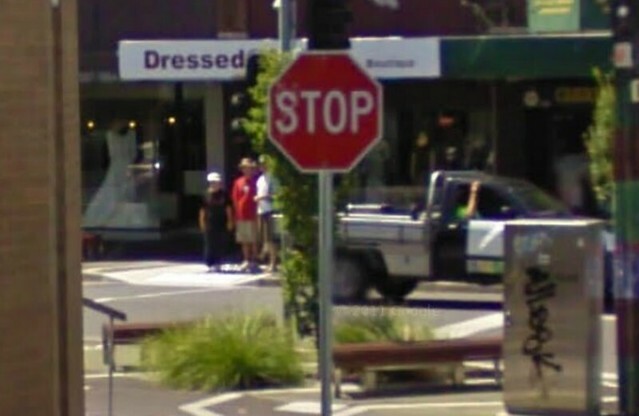 Google Streetview finally updated its pictures, and it includes imagery from that day. Alas, it wasn’t shooting when the car passed us, but it did once it entered the nearby side street — that’s why you can see it turning. So while we’re in view, it’s only from a distance. Still, myself and the boys are recognisable — gotta like that! Nice one! Thank goodness you weren’t picking your noses.